The New York Times best-selling author of The Girl Who Chased the Moon welcomes you to her newest locale: Walls of Water, North Carolina, where the secrets are thicker than the fog from the town’s famous waterfalls, and the stuff of superstition is just as real as you want it to be. Fireflies seem to dance on sheer air, illuminating the space between heartbeats. Children give off a similar brave glow, despite the challenges of their young lives. The lessons of childhood are often painful, the shedding of fragile wings in the gloam of an uncertain future. These rich novellas are small jewels reflecting the essence of what it means to grow up dancing among the shadows of life, carrying a brave, small beacon because you know that even the brightest days always, always, end in darkness. The Van Ripper women have been the talk of Tarrytown, New York, for centuries. Some say they're angels; some say they're crooks. In their tumbledown "Stitchery", not far from the stomping grounds of the legendary Headless Horseman, the Van Ripper sisters - Aubrey, Bitty, and Meggie - are said to knit people's most ardent wishes into beautiful scarves and mittens, granting them health, success, or even a blossoming romance. But for the magic to work, sacrifices must be made - and no one knows that better than the Van Rippers. At the nursery she runs with her sisters on the New England coast, Sorrel Sparrow has honed her rare gift for nurturing plants and flowers. Now that reputation, and a stroke of good timing, lands Sorrel an unexpected opportunity: reviving a long-dormant Shakespearean garden on an English country estate. Arriving at Kirkwood Hall, ancestral home of Sir Graham Kirkwood and his wife, Stella, Sorrel is shocked by the desolate state of the walled garden. Generations have tried - and failed - to bring it back to glory. thoroughly enjoyable. will listen again! Nestled in the bucolic town of Green Valley in upstate New York, the Pennywort farm appears ordinary, yet at its center lies something remarkable: a wild maze of colorful gardens that reaches beyond the imagination. Local legend says that a visitor can gain answers to life's most difficult problems simply by walking through its lush corridors. Yet the labyrinth has never helped Olivia Pennywort, the garden's beautiful and enigmatic caretaker. 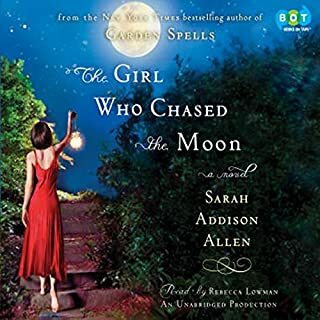 In this irresistible follow-up to her New York Times best selling debut, Garden Spells, author Sarah Addison Allen tells the tale of a young woman whose family secrets - and secret passions - are about to change her life forever. Twenty-seven-year-old Josey Cirrini is sure of three things: winter in her North Carolina hometown is her favorite season, she's a sorry excuse for a Southern belle, and sweets are best eaten in the privacy of her hidden closet. For while Josey has settled into an uneventful life in her mother's house, her one consolation is the stockpile of sugary treats and paperback romances she escapes to each night - until she finds it harboring none other than local waitress Della Lee Baker, a tough-talking, tenderhearted woman who is one part nemesis and two parts fairy godmother. Fleeing a life of bad luck and big mistakes, Della Lee has decided Josey's clandestine closet is the safest place to crash. In return she's going to change Josey's life - because, clearly, it is not the closet of a happy woman. With Della Lee's tough love, Josey is soon forgoing pecan rolls and caramels, tapping into her startlingly keen feminine instincts, and finding her narrow existence quickly expanding. 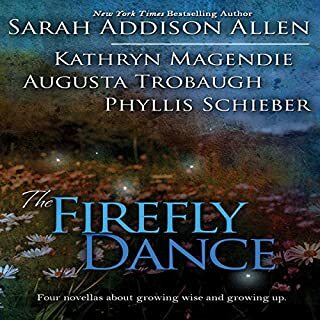 Before long, Josey bonds with Chloe Finley, a young woman who makes the best sandwiches in town, is hounded by books that inexplicably appear whenever she needs them, and - most amazing of all - has a close connection to Josey's longtime crush. As little by little Josey dares to step outside herself, she discovers a world where the color red has astonishing power, passion can make eggs fry in their cartons, and romance can blossom at any time - even for her. It seems that Della Lee's work is done, and it's time for her to move on. But the truth about where she's going, why she showed up in the first place - and what Chloe has to do with it all - is about to add one more unexpected chapter to Josey's fast-changing life. True relationships mixed with Fantasy: loved it! Books appearing out of no where and a woman living in someone closet sound far fetched but I really liked this book. The story was well developed, as were the characters. I'm sure many of us "not so thin" gals could relate to Josey's insecurity about her body image as well as interaction with men. Add in the mother she had;(although it was interesting to find out her issues as well) and it's no wonder Josey took her comfort in food. While listening to the story I thought Josey's new found relationships with Della Lee and Chloe would make a great TV Christmas movie. (And I love all those movies)! Adam's character was sweet and the perfect "prince charming" to come to her rescue. I have read or listened to the 3 books by this author and think they are delightful. I loved them so much I bought them in paperback for a friend who doesn't have audible book access and I know she will love them, too. Spellbinding, etherial, enchanting. What I wanted was a sweet and unique story that would allow me to escape for the length of time the narration took. 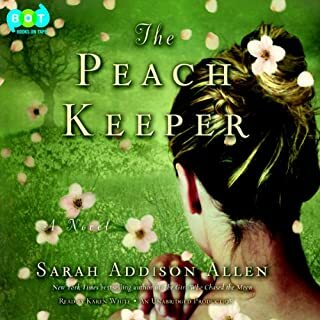 Sarah Addison Allen managed to present a story that was full of southern charm and sweetness, with a unique edge of unexpected fairy godmothers to enhance a life that was stale and uninspiring. Josey is stuck in a life that doesn’t quite fit: a little too ‘ethnic’ looking when compared to her mother, a famed belle, a little too large, too loud, perhaps even too outspoken for her own good. She stuffs her feelings of inadequacy from her hidden sanctuary: an unused closet full to the brim with unsuitable paperback romances, pop, candy and other sweets. Josey is stuck in neutral, and too worried about what others may think to dare changing or acting on her own thoughts. And Josey wants to leave the ‘nowhere’ small town in the North Carolina mountains – away from the responsibility of caring for her unloving mother, prying eyes and expectations that she is certain she will never meet. When Josey finds the notorious ‘bad girl” Della Lee hiding in her closet, Josey is determined to get Della Lee to leave. One problem: Della is comfortable where she is at the moment, and she knows that Josey doesn’t want her secret stash revealed. Polar opposites, Josey and Della Lee begin a series of bargains as Della pushes Josey out of her self-imposed rut. Della Lee is a wonderful counterpoint, to Josey: forthright and impulsive, she does what every ‘good girl’ doesn’t dare attempt and has had a wonderful time, mostly, of doing it. A series of bargains lead Josey through a wonderful path of self-discovery as she learns to take responsibility for her own choices, and stand up to her mother, perhaps earning her the first modicum of grudging respect from that quarter. Della Lee isn’t above snooping (she did hide out in her closet) so when she finds that Josey harbors a closely held crush on the mailman, she prods, pushes and challenges her to make a move in that direction. Josey’s transformation is cleverly plotted and easy to relate to, even though readers may not feel a kinship with her exact issues, they will find a connection to her struggle: the fear, the worry, the struggle between selfish wants and obligations that conflict. Using several sweet references that instantly draw taste and scent memories from readers adds to the feel and sense of the story. Narration in this version is from Karen White, who is fast becoming a ‘must listen’ narrator for me. Her subtle changes for character voice and accents serve to enhance their history and backstories, from subtle hint of the south to the full on twang, the voices and delivery introduce characters with distinct elements that do not waver from introduction to end. There were a few moments where the recording had some problems: whether recorded later and cut in, or the external sound dampening was briefly deactivated, a few sections carried an echo that was brief, but noticeable, and other volume changes were present occasionally as well. Not enough to completely disrupt the listen, but of a frequency to be noted. I wasn’t looking for nor expecting a story grounded in realism and clearly tied to the here and now, and the elements of magic and potential of some unknown hand subtly pushing events in one direction or another to serve a wish or a whim were perfectly played and add a sense of the possible to the story. 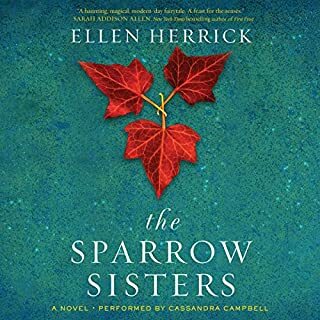 Sweet and light, with plenty of humor and flavor to please many, I enjoyed this story and will keep it on my “when you want to escape” listen pile. I'm not sure what I expected, but this story did bore me just a bit. It was mostly one of those "a woman finds meaning in life" affairs, only with just a little dab of the paranormal. Really, it seems as though this author cannot stop trying to rewrite "Practical Magic" with every new book she releases, which is annoying. I found this book to be somewhat formulaic for that reason. I think the writing was well executed and the characters well drawn, which is why I listened to the end, but the plot, though interesting and deeply involved, just wasn't quite my cup of tea. What did you love best about The Sugar Queen? 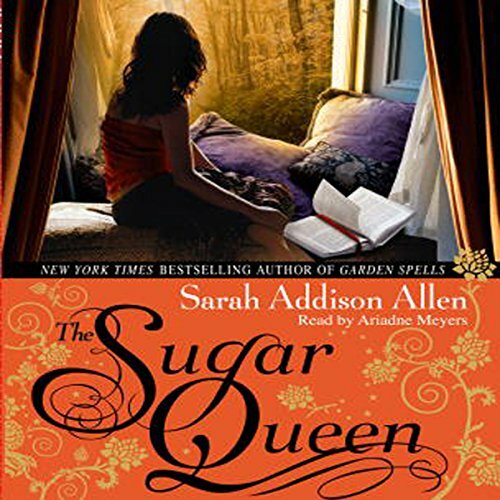 The was the last of Sarah Addison Allen's books that I have listened to and I highly recommend each one. They hold my attention fully. There is just a touch of fantasy that adds so much to the stories. If you love a good, easy novel - you'll love these. 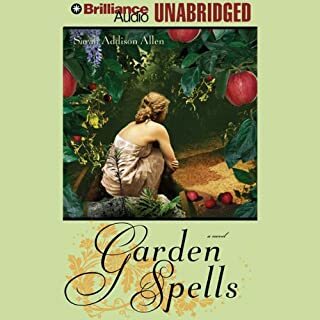 I have enjoyed all of Sarah Addiaon Allen's books, the characters are interesting and the story is full of magic. I love to read so after the birth of my son, and less time to do what i love, i decided to try this method of listening to books. 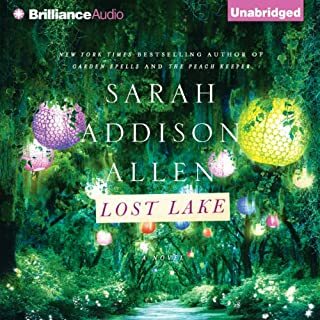 I choose a book from Sarah addison Allen because I loved other books from her and not only did this book amaze me but to hear it, it was like having these characters in my life because they had a voice. I'm actually more sad it's over than I have ever been after reading a book. and I would recommend reading or listening to this book in particular. it's that good! seriously go for it! All of her books are amazing, and I enjoy the reader for these so far.